Oklahoma Connection | In 1895 Long came to Atoka, Indian Territory, as vacation relief for Dr. J. S. Fulton. LeRoy Long’s hobby was reading French Literature, a self-taught second language. LeRoy Long was born in North Carolina in 1869. Although he had no formal primary education, he did attend high school and received private tutoring. At the age of 20 he spent a year reading anatomy with a local physician and attended a two-year course at Louisville Medical College (now the University of Louisville School of Medicine), where he graduated in 1893. He declined a teaching job offered there upon graduation and came to Atoka, Indian Territory, where he became a member of the Choctaw Tribe by virtue of his marriage to Martha Downing, a young teacher. After several years enjoying a thriving country medical practice, Dr. Long moved to McAlester in 1904 where the facilities of All Saints Hospital prompted him to soon devote himself to pursuing surgery as a full-time career. Dr. Long was a prime mover in the Indian Territory Medical Association and the Choctaw Medical Board. He helped in the formation of the State Medical Association when Indian Territory and Oklahoma Territory Associations planned to merge in 1906. 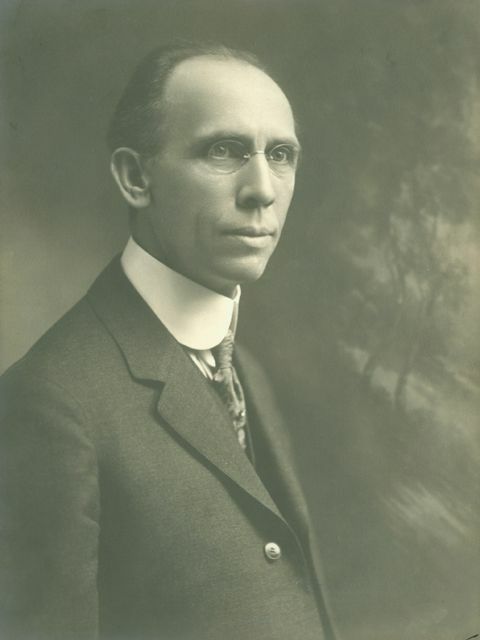 Governor Robert L. Williams appointed Dr. Long as Dean of the University Medical School in Oklahoma City (1915-1931).